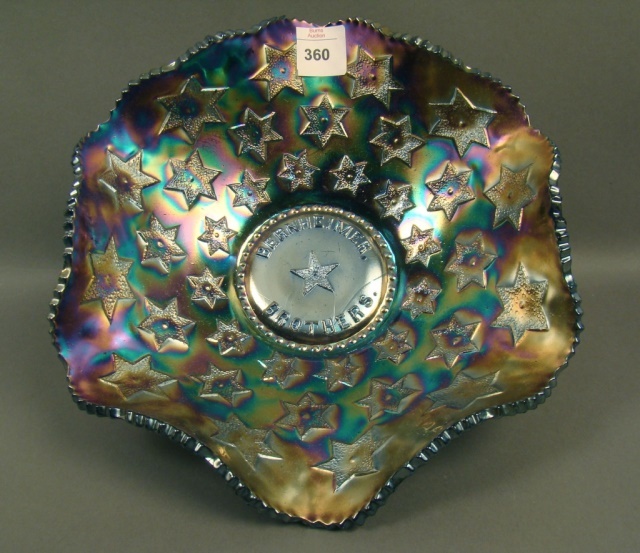 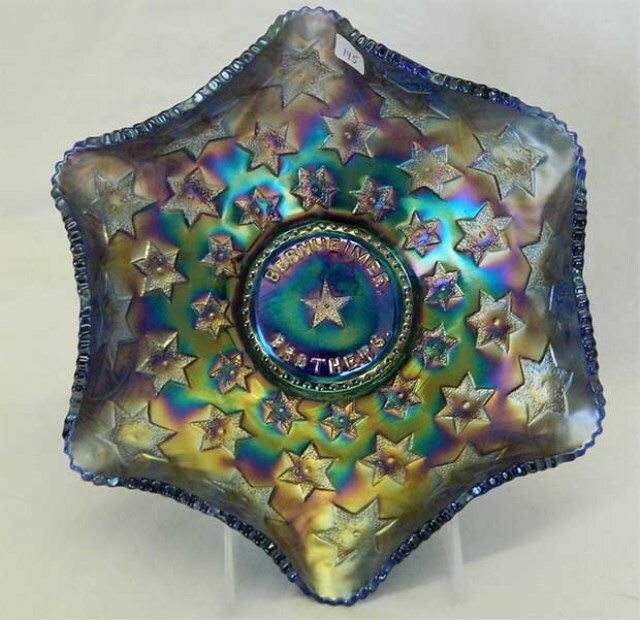 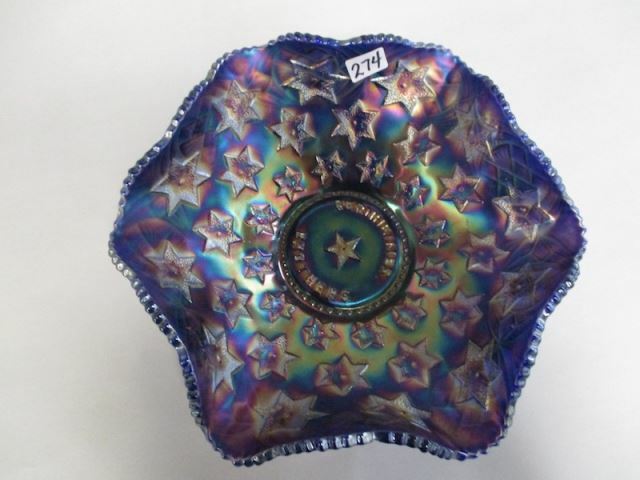 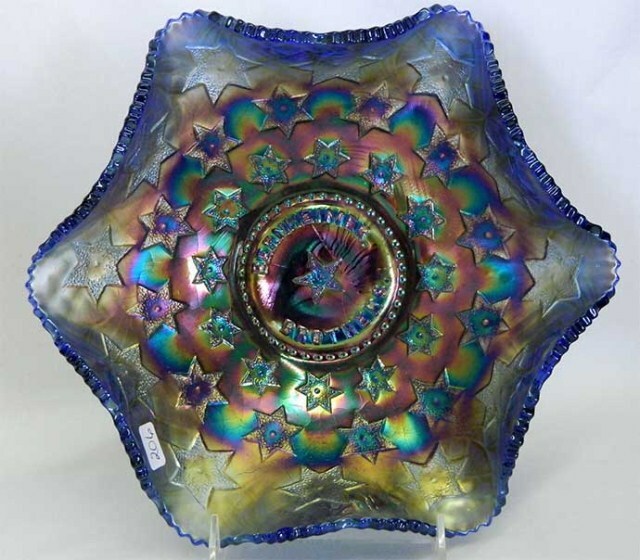 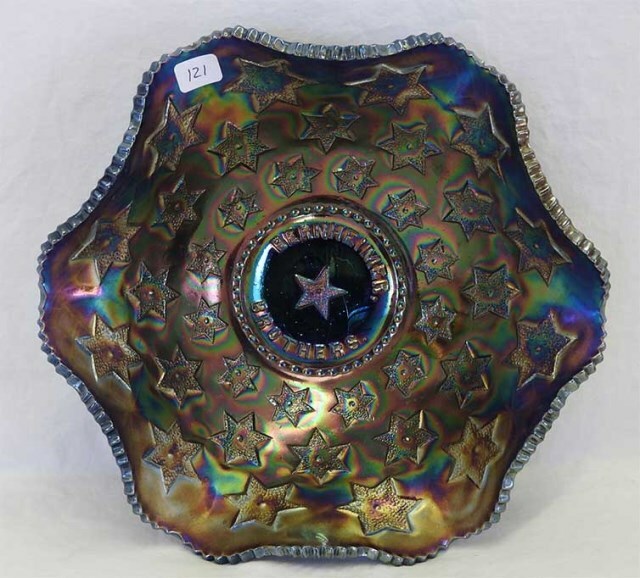 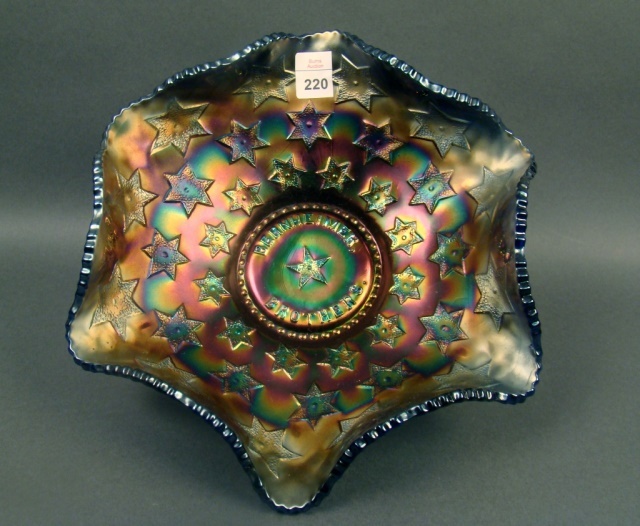 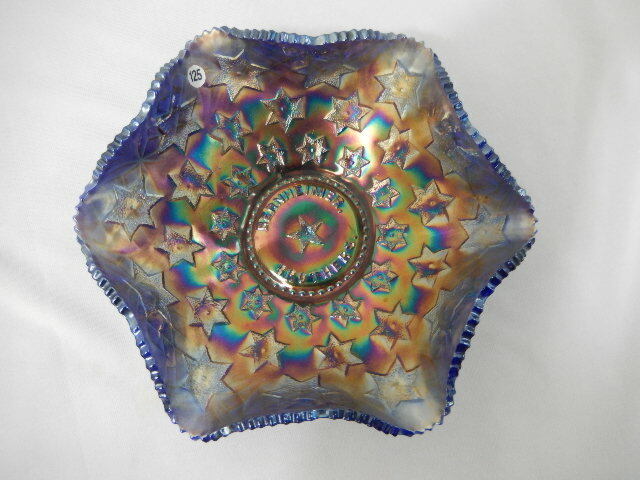 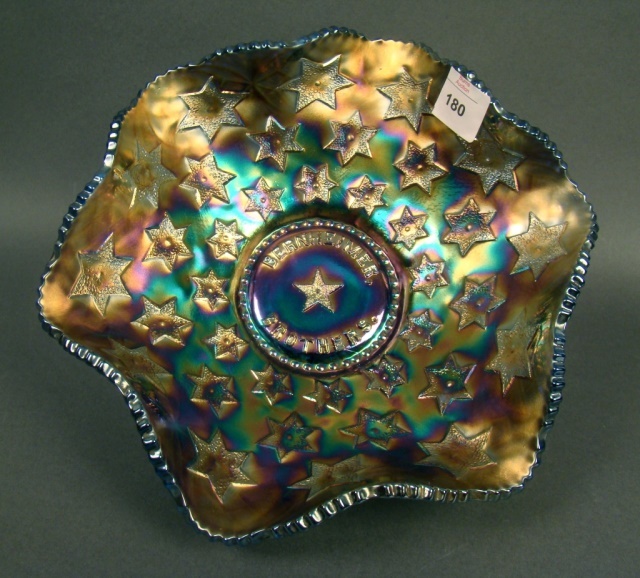 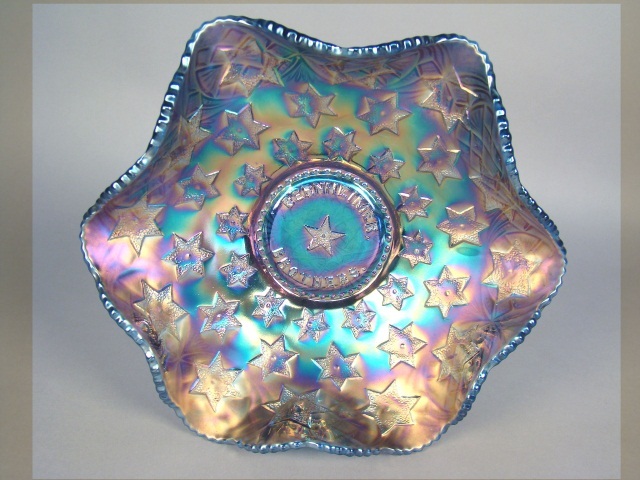 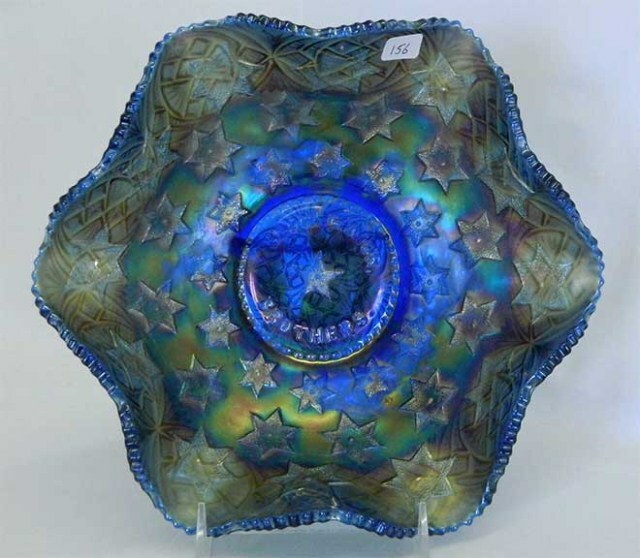 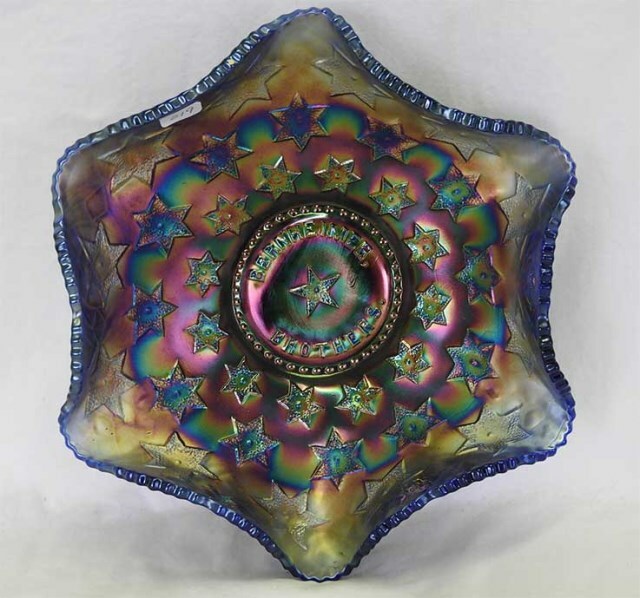 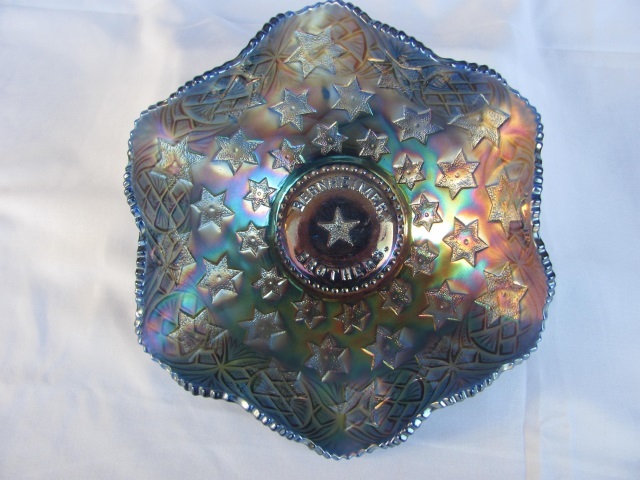 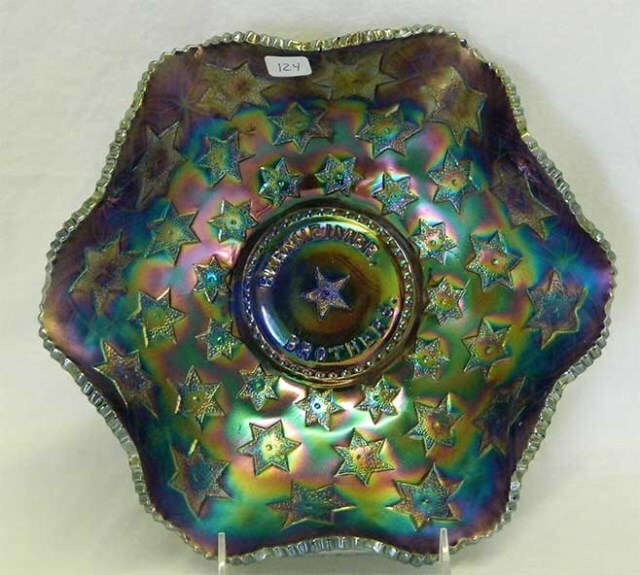 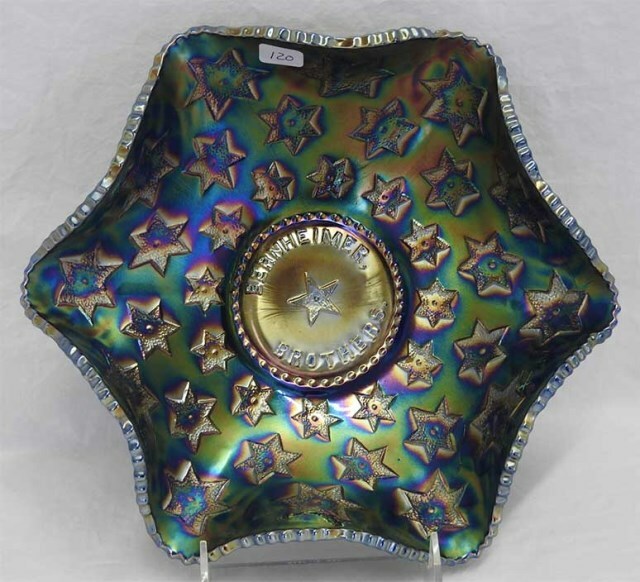 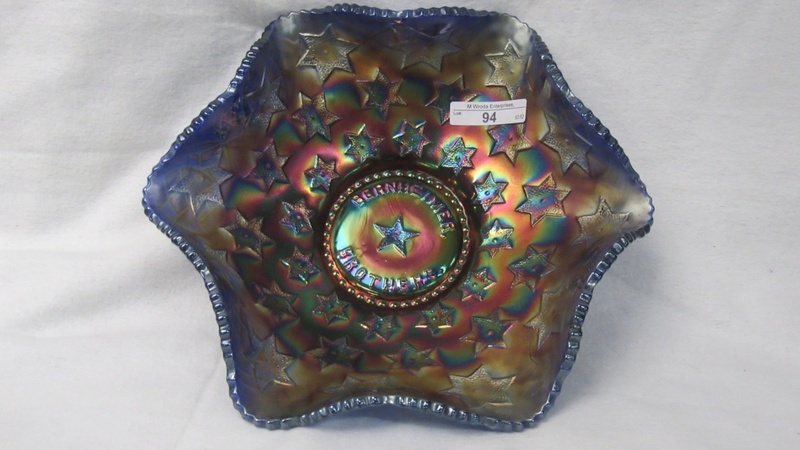 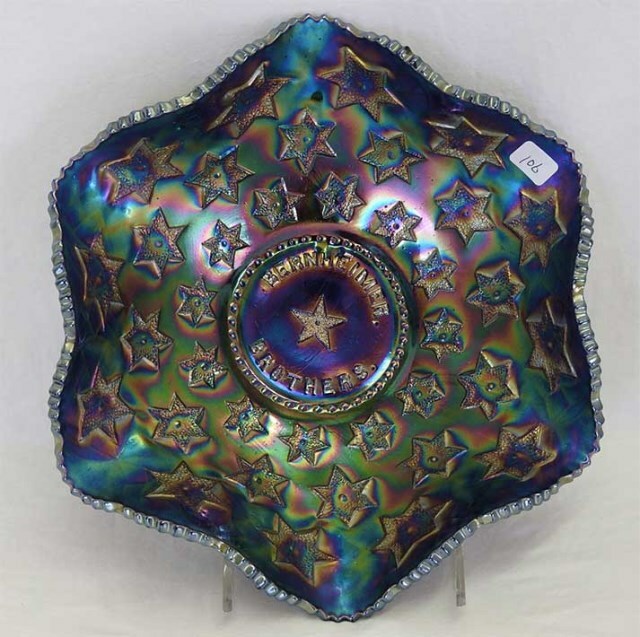 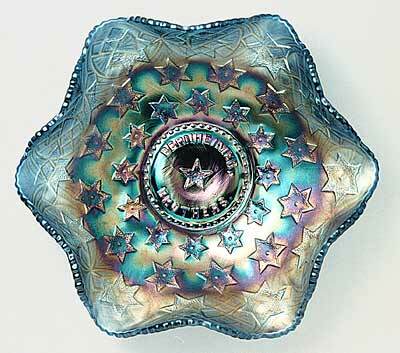 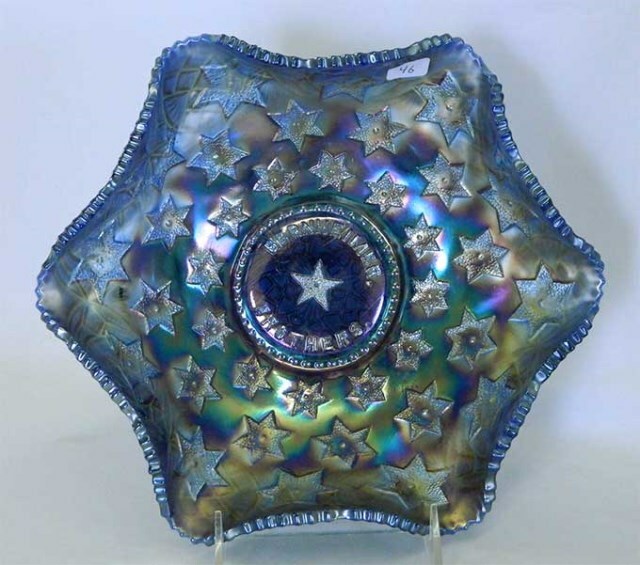 This special-order bowl was made from Millersburg's Many Stars pattern and has the words “Bernheimer Brothers” around the central 5-pointed star. 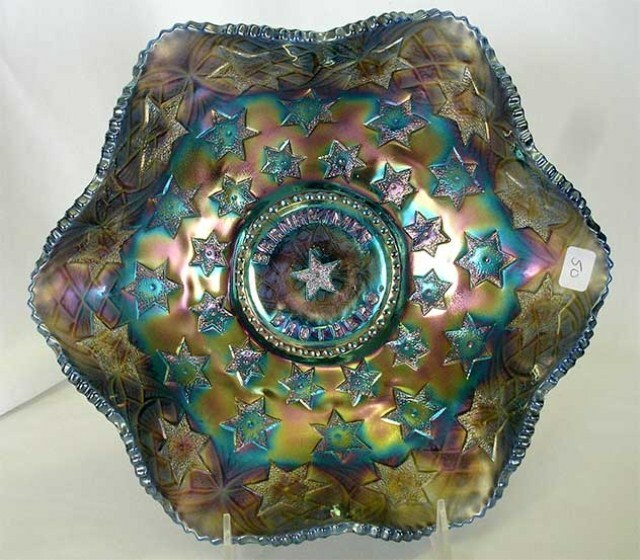 It measures about 10 inches across. 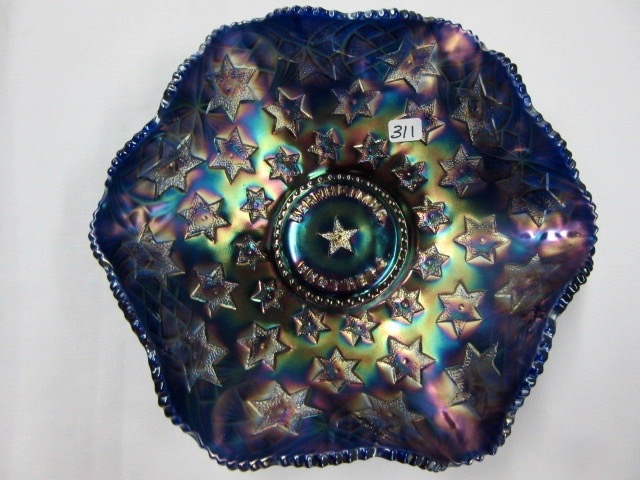 Known only in these blue ruffled bowls.